I need some help. Was so excited to setup my CO2 system and flood my dry start tank today. However, when I went to connect my co2 tank and my regulator with solenoid, I realized something was wrong. The solenoid seems to have this extra protrusion so the fitting won’t sit flush with the tank. What do I need to do to fix this? Any help would be appreciated. Thanks! Gonna have to swap out the stem to a cga-320 for co2. It's the wrong fitting, looks like a cga-350 from what I could find on google images. Need some more help. 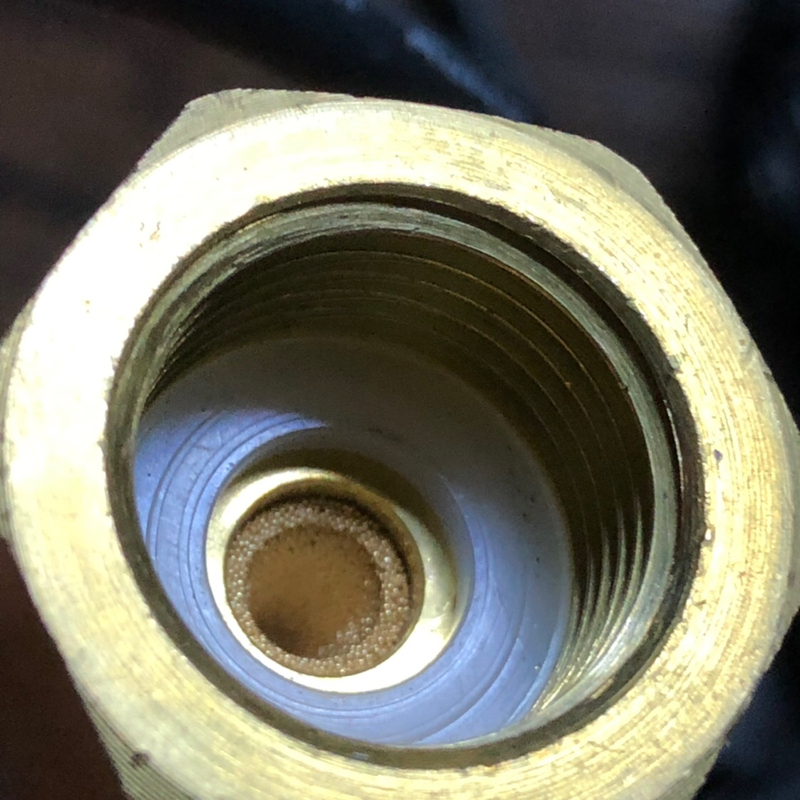 I gave up on the old regulator, so I got a new regulator and was trying to install it, but gas was majorly leaking as in the picture below. I heard I might need a plastic washer of some sort? Please advise! Thanks in advance! Looks like there is already a plastic washer in there. I would try swapping it out for a crush washer or a new plastic washer. When connecting, mate the faces together then pull the nut on the regulator forward and begin to tighten to ensure both surfaces remain seated. Get a new washer and make sure to tighten the hell out of it with a wrench. Make sure to leak test with soapy water, if it still leaks tighten it some more.